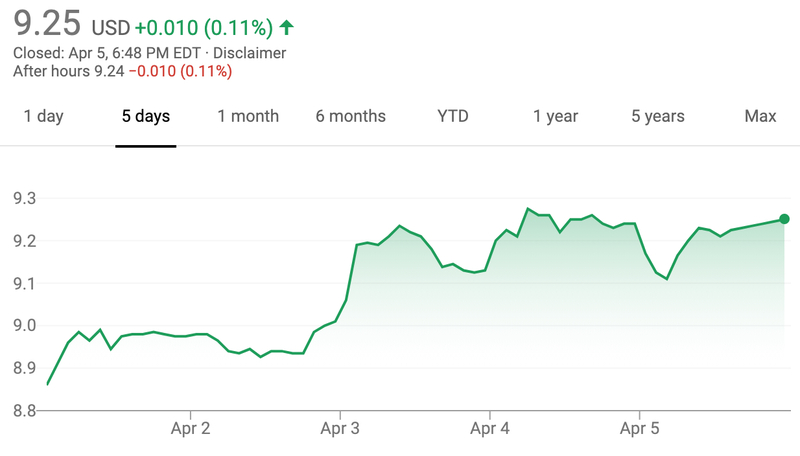 The value of Ford stock rose during the April 1st, 2019 – April 5th, 2019 timeframe, closing the week at $9.25 per share. The movement represents an increase of $0.47 per share or 5.4 percent compared to last week’s closing value of $8.78. Though a 47 cent increase isn’t substantial, it still represents a 5.4 percent gain – which is better than a decrease. Hence, we imagine some investors are pleased with the performance. In addition, this week’s gains mark three consecutive weeks of growth for Ford Motor Company shares. By comparison, shares of Fiat Chrysler Automobiles rose $0.59 this week, while the value of GM stock rose by $1.85. We remain interested in seeing how Ford stock fares in 2019, especially in light of Ford Motor Company’s decisions to optimize its business fitness by discontinuing all sedans to focus on more profitable crossovers, SUVs and pickup trucks in the North American market, while at the same time investing in very costly autonomous vehicles and technologies. It’s worth noting that The Blue Oval made both moves much later than rivals, with FCA being first to kill off most of its sedans and General Motors being first to begin heavily investing in EVs and autonomous tech. Subscribe to Ford Authority for ongoing Ford stock news and complete Ford news coverage.